Tag Archives for " Piktochart "
Everyone wants more likes, RTs, pins, favorites and shares on their social media posts. Isn’t that the point of social media, to spread your business and personal influence to as many potential followers and customers as possible? But how do you earn those RTs and shares? It may feel like there is some sort of secret sauce that makes some users get more than you, but it isn’t. 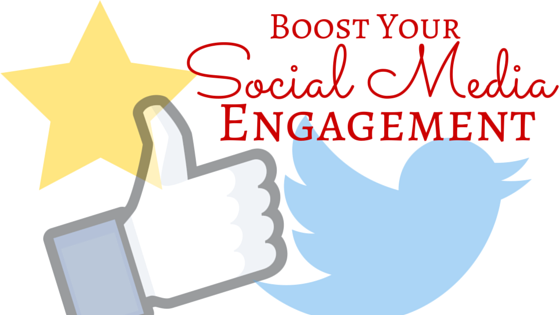 Here are numerous ways that you can boost engagement on your social media accounts. This one is easy and is one of the main elements of the Duct Tape Marketing Social Media System. Social media is not designed to be a one-way street. You can’t just broadcast your messages and expect your customers to engage with you. Social media is best used as a listening post, a momentary glance at what your customers are doing and talking about. Take time to listen to your customers. Create a Twitter list of your customers and maybe even the accounts they engage with most. Find what they’re talking about and, if it applies to your business, join the conversation. Imagine if you are a plumber, and one of your customers tweets their frustration with a DIY plumbing project they are working on. This is a perfect opportunity to offer some tips. If they can fix it, great! Now you have earned even more trust. If they can’t figure it out, I’d be willing to bet you’ll be the first plumber they call. Social posts are much more likely to be engaged with if they have pictures or videos attached. This can be anything from product pictures, to behind the scenes photos, to custom infographics or designs. Videos can include do-it-yourself step by steps or just personal updates from the owner. If you have a new display in your shop, share a photo to drum up excitement. Even taking an Instagram photo of the sunrise over your building is a great way to engage your customers. They were probably already talking about the weather. There are many great tools out there to create excellent custom graphics and infographics on a budget. I’d suggest piktochart for more complex infographics or Canva for social and blog images like the one above. Promotions can be a great way to spur engagement. Offer your customers a discount or a freebie for a share or retweet, and you’ll see your post spread like fire through their social networks. This can even be offered to guests who have already come into the store. If you offer them a promotion at the point of sale, it can be a nice surprise, especially if they were already planning to buy. Ask your customers for their opinion and they’ll be happy to give it to you. You can even include polls on Facebook giving your customers multiple choices. On Twitter, ask your customers to RT for one option, and favorite for another. The RTs will almost always win (RT’s will spread to other people’s feeds where favorites won’t) so it isn’t scientific, but it will certainly help increase your engagement and help you identify leads. If you’d rather not use an actual poll, you can also create photos and graphics with multiple options and ask your followers what they prefer. You should share your customers’ answers and engage with the conversation that ensues. All sales copy you write usually includes a call to action, why should social media be any different? You should always include some call to action. Avoid using phrases like “Please RT” or “Like this post for…” unless it is a promotion. Instead, try to get a bit more creative. Earning social media engagement isn’t rocket science. All you have to do is design your posts and make it easy for your customers to engage. Just fair warning – To celebrate the occasion of the launch of Duct Tape Selling I’ll probably be extra promotional this week so hopefully you’ll allow. Below is a very short book trailer produced by the talented folks at Simplifilm. I hope you like it and I hope you’ll share its message with others. 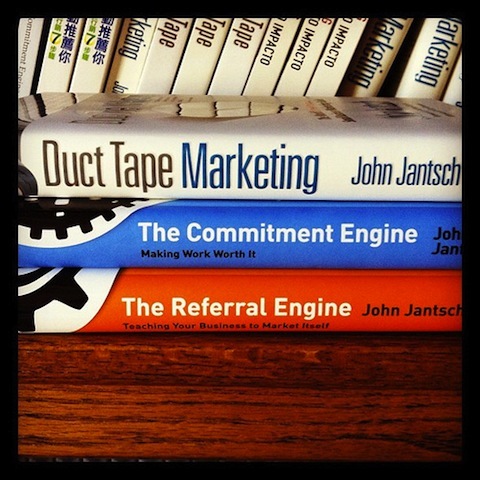 You can also find lots of other great information about the book and some fun stuff to share by heading over to my Duct Tape Selling Social Objects page. In addition, I want to share the best of this week’s guest blog posts from the Duct Tape Selling Blog. When it comes to social media marketing, you can spend all your time studying up on the best methods and practices and still not feel totally confident.